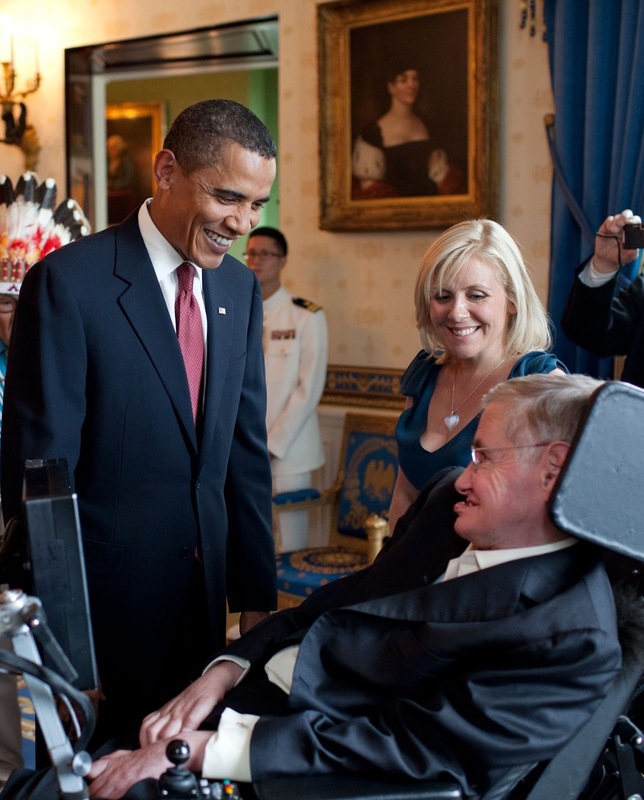 Barack Obama talks with Stephen Hawking in the White House before a ceremony presenting him with the Presidential Medal of Freedom. Stephen Hawking mourned by José Andrés as the catalyst for ‘Culinary Physics’. The physicist's work was an inspiration for Jose Andrés science-based cooking called Culinary Physics. Culinary Physics is a field of food science that seeks to investigate the physical and chemical transformations of ingredients that occur in cooking process. Its program includes three areas, as cooking was recognized to have three components, which are social, artistic and technical. Culinary physics is a modern style of cooking, and takes advantage of many technical innovations from the scientific disciplines like Physics, Chemistry, Microbiology and other related fields. Andrés credited the physicist as the inspiration for the science-based cooking practiced by him and chefs like Ferran Adria, Grant Achatz, and Wylie Dufresne. Modernist Cuisine, one of the most successful and influential cookbooks of the twenty-first century, was written by Hawking’s former student Nathan Myhrvold. Modernist Cuisine: The Art and Science of Cooking is an encyclopedic treatment of cooking process. Its six volumes of 2,438 pages explore the history of cuisine and explain the science of cooking in a way that’s accessible to both professional chefs and home cooks alike. Produced by a team of scientists, professional chefs, editors, and writers, the reference volumes explore research spanning the field of culinary science and other pertinent related sciences, with careful attention to practicality and applicability in the kitchen.